December 19, 2012 by Venky. After a fun filled but tough day from Madikere to SultanBathery and with the sufferfest climb of Ooty in prospect for today, all of us were understandably nervous. 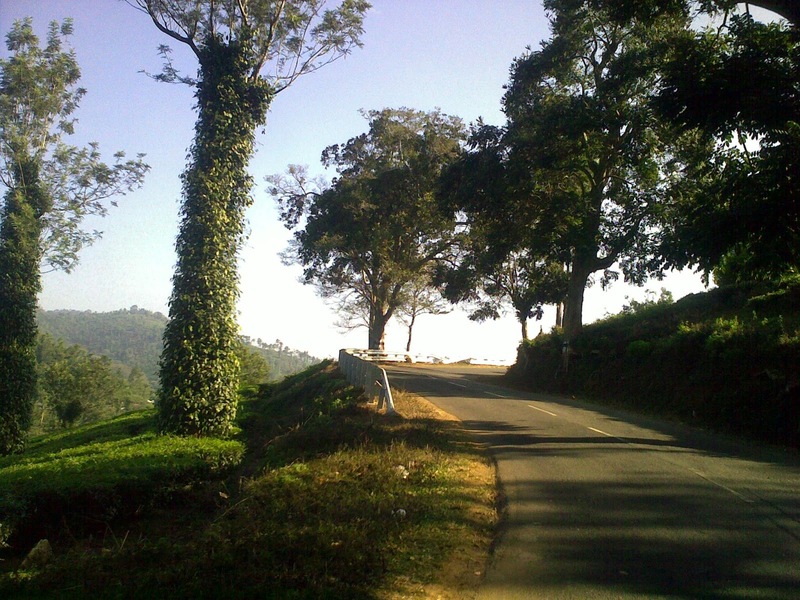 The 21km climb from Gudalur to Pycara on the way to Ooty is the competitive section(CS) which starts after 47km from our hotel. After loading up on the breakfast and a quick pre ride briefing from the tour director, Francis Santosh Lobo, we hit the road at about 7:45am. The group as we rode towards Ooty..
Gautam Raja, Mohan Kumar, Dipankar Paul, Chetan Gupta, Shailaja Singh Sridhar and I started five minutes after everyone else left. As we slowly kept spinning up and down the rolling hills to get out of Sultan Bathery, the scenery slowly began to transform into one of the best so far on the tour. Every smooth downhill was followed by a gentle uphill. As we gently spun along enjoying the scenic beauty we began to come across riders who started earlier. Slowly the group became quite big and it was fun chatting as we rode on. The weather was perfect with the sun out but it never got too hot. The scenery with the interplay of the light and shade along with contours of those majestic hills adorned with endless tea, eucalyptus and silver oak plantations was simply surreal. While the riders new to TFN continued to be awestruck with the amazing scenic beauty, it was a welcome refresher for experienced TFNers. Taking in all the scenery we arrived at the first support station for the day which was just outside Devarshola. After refueling and refilling, we slowly began to move towards Gudalur where the competitive section starts. Mohan, Gautam, Dipankar, Chetan etc went ahead with around 10km to go for the competitive section as I dropped back from the front. After Gudalur the first 4km climb up to the start of the CS was quite a warm up. By the time I reached the starting point, I saw Mohan starting his CS. After a few minutes, Shailaja, Gautam, Chetan and Dipankar started followed by Bjorn Suetens. I started riding along with Shailaja and intended to act like a carrot for the guys starting behind me. I began climbing and slowly went past Shailaja. She tried keeping up for sometime but decided to ride at her own pace. I began to ride in a good tempo but noticed that I was sweating too much. I kept drinking regularly and around 5kms into the climb Dipankar went past me and soon after Chetan followed. Since my Garmin replaced Richard’s garmin that gave up on him on the first day, I was riding without the knowledge of any numbers. After climbing for what seemed like an eternity I asked a few volunteers by the roadside, how many kms till to go. I almost stopped in my tracks when they said 14/15km but a sign by the roadside was even crueler. It read, “Pykara 16km”. I couldn’t believe that I felt like I climbed for 15km when it was just 5km. Just then Bjorn began to ride past me. I quickly asked him what the distance was so far. When he said 8.8km, I felt slightly relieved. With the amount of sweat that was pouring out of me, even with me drinking regularly and eventually finishing off both my water bottle and Gatorade bottle, I began to cramp up terribly. I tried to keep spinning and tried to slowly relieve the cramps as I kept moving but it was not helping. I had to stop and stretch. Just then Rishi Burman and Gautam went past me. After a minute or so when the cramps seemed to have subsided, I began to spin slowly thinking of stopping at the mobile support station that was supposed to be at the 10km to refill my bottles. But as I went past, I found no support station. I thought of buying some water at a village after Naduvattam but remembered that I didn’t have any money on me. Dejected, I started moving again and was spinning slowly making sure that I don’t sweat anymore. But with what looked like more than 6-7km to go I didn’t know what I would do if the cramps started again since not even a drop of water was left in the bottles. After a few minutes, I was elated to see one of the support vans by the roadside and quickly stopped to refill my bottles. It was a life saver for me. I had 4km more to go and with fuel to go further available, I started to roll again. 2km before the finish line, Dipankar came back to join and ride with me. There were strong headwinds on the climb. We rode slowly chatting along. As soon as I stopped, I drank and ate to replenish the salts in the body and relaxed there for a while. I was not sure why I sweated so profusely at the start of the climb and cramped so badly within 10km of the climb. May be it was the lack of proper sleep and rest over the last 4 days. It was one of the worst sufferfests for me in a while. 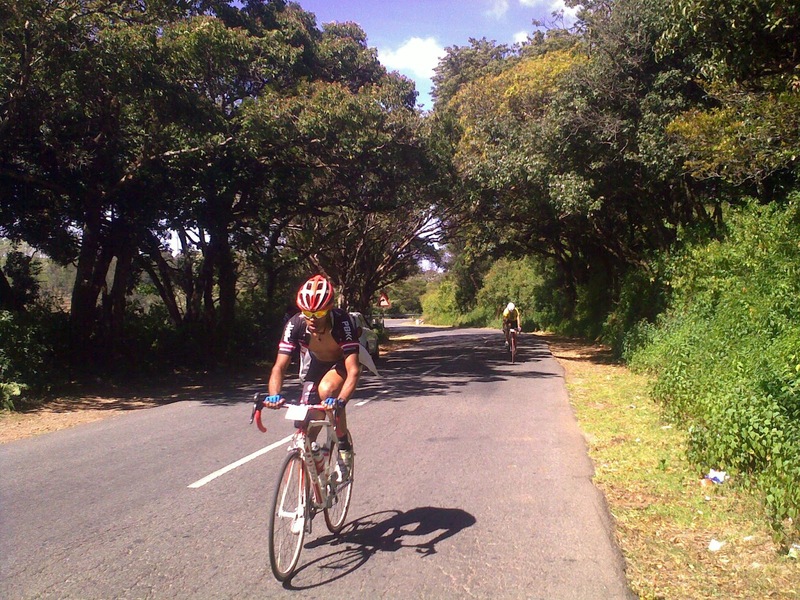 After the CS, after eating and replenishing some liquids, we started riding the remaining 30km to reach the hotel. 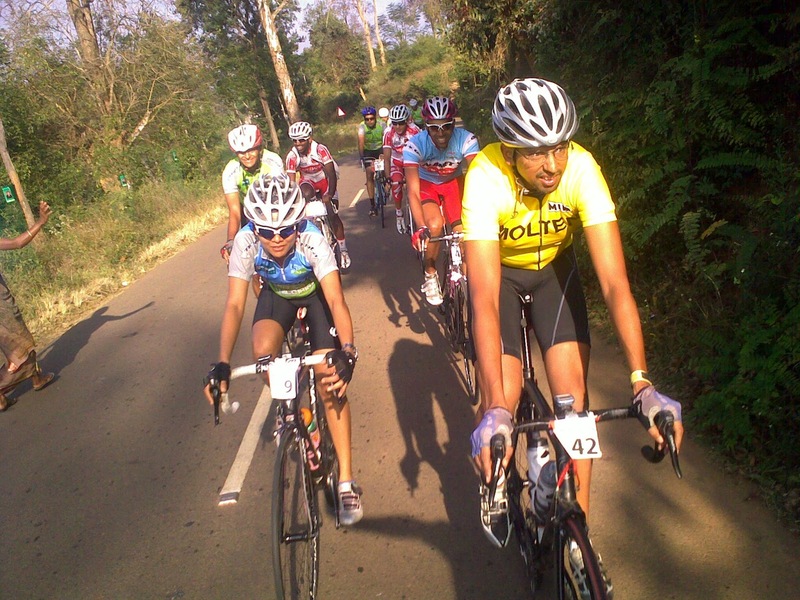 The climbs as we got into Ooty as usual were almost the last straw on the already tired legs. To add to that there were multiple markings on the road to confuse us and leading a few to wrong directions and testing their patience to the maximum. To avoid confusion, the markers should have attached words like TFN where there were multiple arrows leading to different directions. 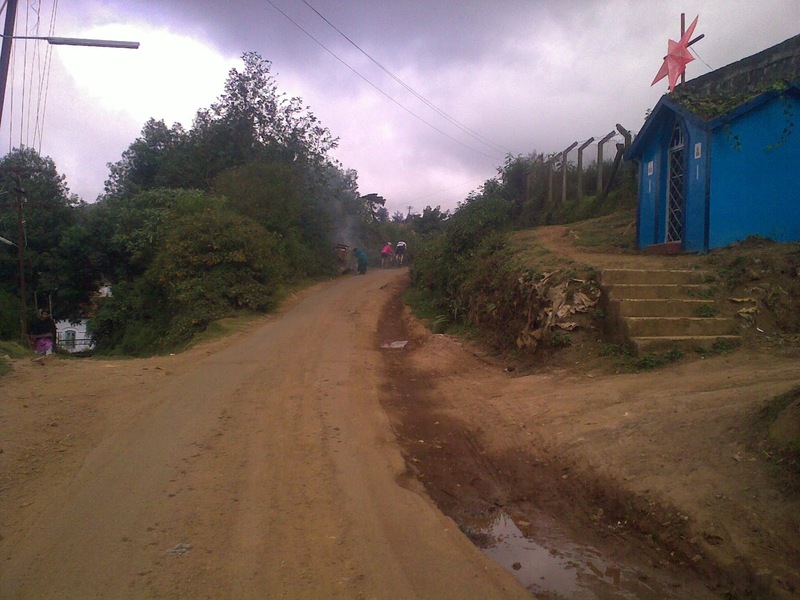 The rough and steep approach road to the hotel.. The sufferfest did not end there after we entered Ooty. It continued with a bit of cobbled section and 3 wall-like climbs once we turn towards Fren Hill. Almost 60% of the riders seemed to have walked the last climbs near the hotel which seemed to be close to 20%. It felt like a one day classic with cobbles and insane grades. It was one hell of a tiring day. Right now, I’m not really looking forward to day 6. I was surprised to know that Lokesh Narasimhachar(Loki) was climbing for the first time. It didn’t seem to matter since he nailed it with a stupendous climb time of 1:00:29. The next best time for the day was Richard’s 1:06:12followed by NJ’s 1:06:39. That means that Richard moves onto the podium at 3rd spot and Loki stretches his lead to 6mins 25secs over NJ. With just one short climb and one flat 20km time trial to go as the remaining competitive sections, that lead looks insurmountable. In masters category Bjorn continues to rule with the lead now at almost 9mins. But it was Prasant Tidke’s superb climbing that ensured that his lead is extended from one second to 5mins 27secs over Mohan at 3rd. His second spot looks almost safe now. It would be interesting to see how things peter out with two stages remaining. Only changes could be between 3-4-5places. In the women’s category, the two leading ladies continue to astound with their amazing performance and continue to give each other a tough fight. On today’s climb, Anjali managed to take back 16secs but Shailaja continues to hold onto the blue jersey with a lead of 1min 29secs. It looks like this is going to go down to the wire. It was early this year on Jan 7th that I met three people on Siva’s road in Bangaloreon my morning ride. They were a couple along with one of their friends who started riding recently. When we got talking I was a bit surprised to hear that they were starting their training for TFN-2012 since it was more than 11 months away. When I told them that I was just back from doing TFN a couple of weeks back, they wanted to know what sort of training would be needed for completing TFN. After chatting for a bit, we went on our way. Later throughout the year, I kept seeing them from time to time on Siva’s road. They were SriRam Kuchimanchi and Uma Havaligi along with Adityan Shayan. Adi, SriRam and Uma on Siva’s road in Jan this year.. Their TFN prep started early.. I was quite pleased to see all three of them on the TFN. Uma had a crash just 2 weeks before TFN when she was on one of her training rides and hurt her shoulder badly. But she didn’t want to give up on her goal of riding and completing the TFN and started riding TFN with a shoulder brace. She is working through the pain barrier and riding to complete the tour. 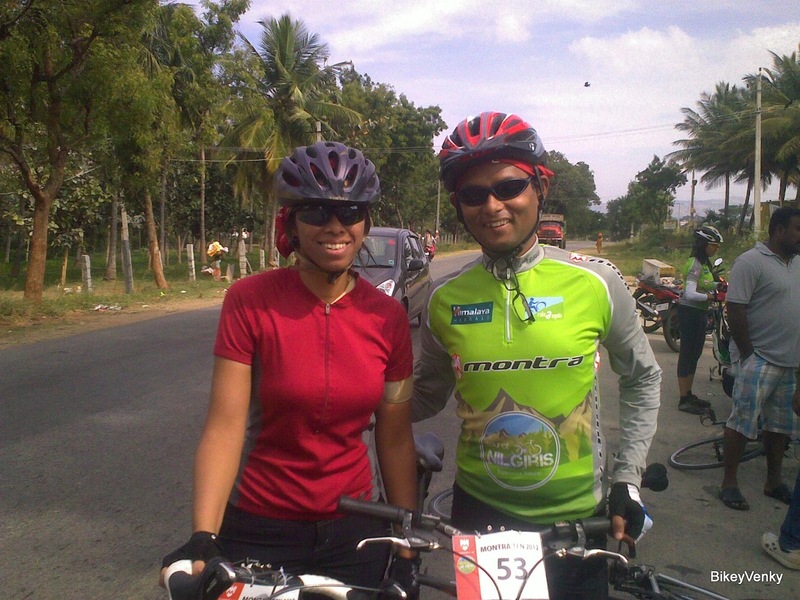 SriRam would be seen riding with her most of the times and encouraging and supporting her. They are a silent couple that complements each other well. I hope the rest day would help Uma’s shoulder to get better and she completes the remaining 3 days well. All the best Uma & SriRam. Another tough day is done, and an even tougher day to come on the 6th day. Riders will do well to use the rest day tomorrow properly to recover and get ready for the tough Ooty-UpperBhavani-Ooty ride. The short 4.7km climb after about 70km of intensely rolling hills means that one needs to ride smartly through the first 70km to save the legs for the climb. The climb looks like it could offer an advantage for lightweight punchy climbers. Will have to see how it effects the GC standings.